News post-CSeries was Bombardier returning to its regional roots with incremental upgrades of its CRJ and Q400s, including the introduction of the more comfortable Atmosphere cabin, and renewed focus on Asian markets, especially China. What has come out of Montréal, however, has been more of an uprooting. The Bombardier name all but disappeared from the Mirabel manufacturing facility where Airbus A220 and CRJ airplanes are produced. The CRJ is the only family of airliners manufactured exclusively by Bombardier after handing a controlling stake in the CSeries program to Airbus and selling the Q400 program to Longview Aviation Capital, parent company of Viking Air. But for how much longer? According to Bombardier’s estimates, airlines will order 5,750 airplanes in the space occupied by the CRJ and Q400 (likely to be re-branded as the de Havilland Q400 after Longview bought the iconic badge along with the program) over the next 20 years. Orders by Delta and American for the CRJ900 with Atmosphere interiors confirms there is life in the platform. Problem is, as with the Q400, Bombardier lose money on every CRJ aircraft it builds. Supplying even 25 per cent of demand would spill a lot of red ink. Nor will incremental improvements to the product line alone suffice, especially when going nose-to-nose with the much-delayed Mitsubishi 76 and redesigned Embraer E2 regional jets, which unlike the Airbus-Bombardier tie-up, are rolled into the Boeing-Embraer partnership, with the Seattle giant set to own 80 per cent of the joint venture. Bombardier has production costs much higher than Boeing and Airbus. One of the airline industry’s main concerns over the CSeries was not aircraft performance, but if Bombardier, already bleeding cash, had the resources to bring a finished product to market. In Bombardier’s case, the shining knight was the Quebec and federal governments, and ultimately Airbus. McDonnell never ‘got’ the civilian airliner business. Airbus does (while mired in its own military transport), and has made significant progress leveraging its buying power to cut A220 costs. New investments at Mirabel, experience building the airplane and a new plant in Mobile, Alabama, will drive costs down further. Bombardier has hived off a chunk of its purchasing clout through transfer of the CSeries and sale of the Q400, and has less leverage. It would unlikely experience a similar turnaround in production costs in any case. 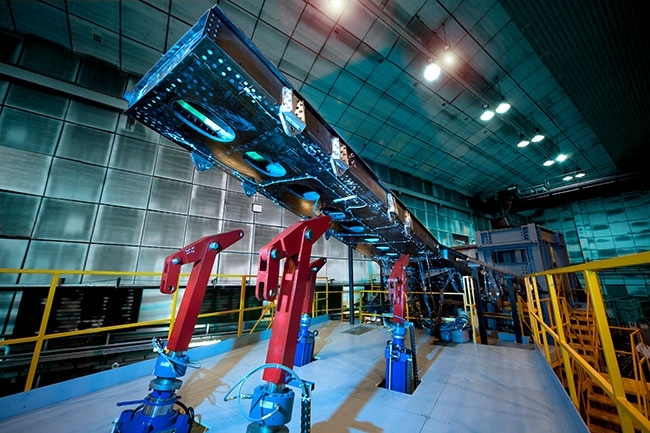 Where Bombardier does hold leverage is with future wing technologies. While the CSeries program headed to Europe, IP rights for the airplane’s ground-breaking carbon-fibre wing design and manufacturing processes stayed with Bombardier’s Aerostructures and Engineering Services (BAES) division. In January 2019, Bombardier moved to acquire the Global 7500 wing program from Triumph Group. BAES builds wings for the A220 family in Belfast, making Bombardier the first outside supplier to manufacture a wing for Airbus. An inevitable evolution to be sure, but one that supports BAES’ future as a tier-one supplier of aerostructures for the world’s airliners. A path Bombardier is most likely to follow, alongside its corporate jet business. Is there space for the CRJ in such a strategy? Especially if a full-scale upgrade, including new engines, is needed to compete with upgraded regional jet models? Something Bombardier has little appetite for, and even less for competing against Boeing-Embraer without the might of Airbus behind it. Bombardier’s insistence it is in the regional jet business for the long-haul is as bankable as its assurances during the Pierre Beaudoin period that the CSeries program was on track. It wasn’t and in the Alain Bellemare era, they aren’t. Airliner production in Montréal is secure, and will inevitably include a larger version of the A220-200 (formerly the CS300) – the CSeries variant that did worry Seattle and Toulouse. Will Bombardier even be involved at that point? The company has the option to sell its stake in the A220 after five years. An attractive proposition for an airplane builder exiting the airliner business, especially if a contract to design and build the wing for the bigger jet is part of the deal. If the CRJ has a future, it will be with another manufacturer. Mitsubishi is sometimes mentioned and would be an interesting side bar in Bombardier’s lawsuit against the Japanese industrial giant over trade secrets. But it is Airbus who will have a hole in its product line once Boeing’s takeover of Embraer’s civilian business is completed.